I had a short list of things to get at the store and once I got to the store it became shorter as I went.. Nope, Nope.. NOPE! Cheese -Hard old Cheddar and Mozza for pizza making. It got a lot shorter when I looked that prices.. WTF.. I am sorry for the lang.. but! I looked at a number of fruits, crazy prices.. we came home with a small bag of citrus the only thing that was a good sale price at 2 dollars for a bag of 8 tiny ones. And of course a Banana bunch. I passed on everything else.. because they were far, FAR overpriced..
Then we got to the veggies.. I did come home with fresh carrots, at a dollar per pound.. they will be the base of my fresh salads. I did not buy the peppers at a dollar each or the celery that was just about 4 dollars for a half size bunch.. I most certainly did not buy the pre-made stuff that ranged from 4 to 9 dollars per small plastic bag.. I just shook my head.. I need to consider going to a few stores in the next towns over to see if this is just my store? I did get my cheese’s (I am totally out of homemade until my milking sheep come on line) I watched other folks walk up and down the fruit and veggie rows and leave mainly empty handed as well..
What I did find very interesting was that they were to be found on the back end of the store, buying frozen fruits in big bags, buying the 4 pound bags of frozen veggies.. and they were not buying the small fancy bags either.. they were buying the big bulky ones with the basic’s. I wanted to see what the prices were and it was on the way to get hubby’s much loved ice cream.. Tell me again that people are not feeling the pressure of rising food costs! I came home and went hmm.. time for a freezer/pantry count.. 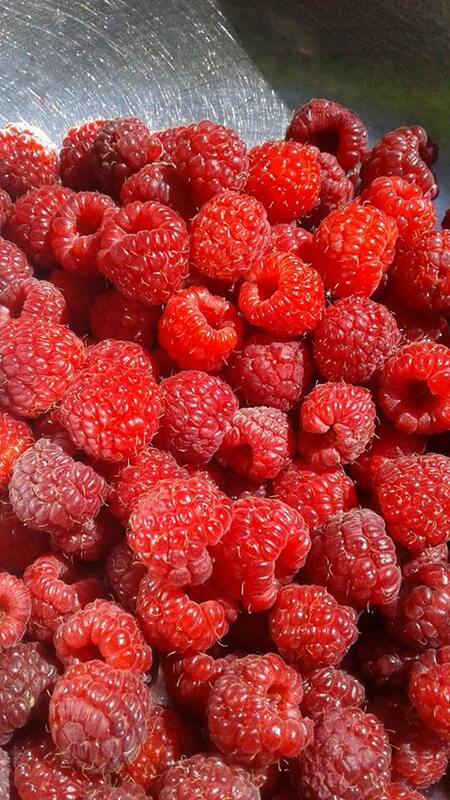 I need to get a full count of what I have in regards to frozen fruit for blueberries, raspberries, strawberries and rhubarb and for canning, I need to see what I have in regards to apples sauces, rhubarb fruit and mixed rhubarb fruits. I will need to do a quick count on dried fruits that normally are used for baking or in salads but in a push can become stewed fruits. I am going to need to put us on a fruit budget lol.. one serving size is a small apple, orange or banana or 1/2 cup of apple sauce or small fruits. “they” says 2 servings of fruit, which means that we need min of four servings per day or two cups per day. or another way of seeing it is 730 cups of fruit per year for the two of us. That could be 121 6 cup bags in the freezer or that would be 365 pints of canned fruit, thank goodness you can use dried fruit in these numbers. I utterly refuse! to spend the money required to buy at the prices they are currently offering in the stores! Here is my main issue, I have been trying to build back my pantry after two poor garden years, last year was a very good year for some fruits an I put up a two year supply of them, counting on being able to balance out my home grown with the combo in winter of small amounts of fresh monthly. if I move over to just banana’s and the odd orange for hubby, then the issue is that my two year build up, slide down to a one year on average and means that this year I am pushing for fresh eating, winter 2019 and putting up my missing backup year, all on a year where we are in rebuild garden mode. I think I will bulk up some of my dried fruit storage to give more depth to the pantry in the short term. 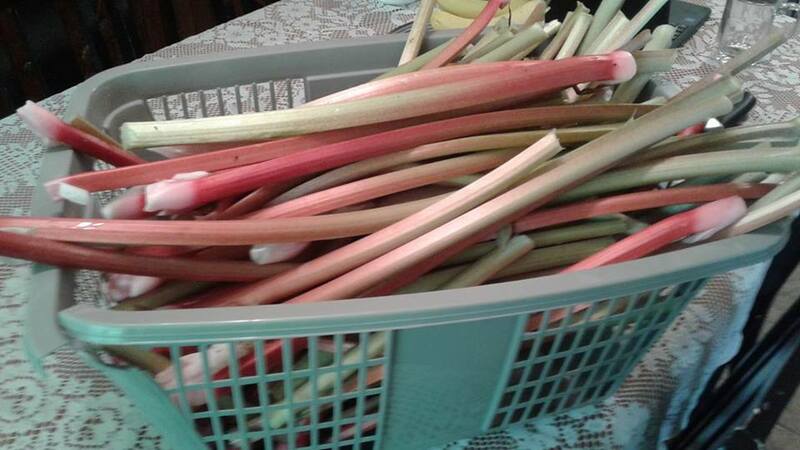 We get our first fresh (early pushed) eating rhubarb in 90 days.. 120 for the next fruits to really come on line with is the honey berries and strawberries and much, much more rhubarb.. I will need to up the putting away numbers for this coming year because its not going to be better next winter.. but I will need to see if I can increase some of things we are bulk putting up. How are you doing in your neck of the woods on the fruit front? Are you still able to find reasonable fruit prices? Can I ask what a five pound bag of apples costs? we are sitting between 5 to 6 dollars per bag. the lowest I could find yesterday was 4.95 for the Uneven apple bag. 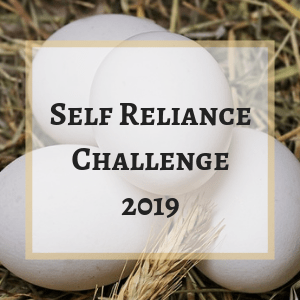 This entry was posted in frugal and tagged cost of fresh fruit, Eating your required fruits daily, Living out of your pantry, meal planning, Planning out your meals. Bookmark the permalink. 35 Responses to Our Winter Fruit Needs.. The price of fresh fruit and veg here is amazingly expensive, when it comes on the truck. We live in a location surrounded by mountain passes so in the winter the truck might not come. Last year, cauliflower was more than steak. The navel orange i bought for a lunch snack last week came to $2 – for a single orange! Crazy. I hear you, I do not currently live in a place where we need to worry normally that the trucks will not come “yet” but I have before. Here at the height of citrus season (which as you know should be the cheapest time of the year) we are running 1 dollar for a nice navel orange. The price of fruit and fresh greens is obscene here. Even Costco….. isn’t all that great. It’s a catch 22 at that place for some things – like their avocados are cheaper but they’re in a huge bag and the one and only time I bought them I ultimately threw the last four to the chickens because really – I can’t eat them fast enough. Over the years I’ve next to given up on fresh in the winter. For one, price. For two, hardly a week passes and something is being recalled for food safety reasons. Three, sorry but I refuse to buy any food item that isn’t grown in North America. Food safety and food miles and all that. 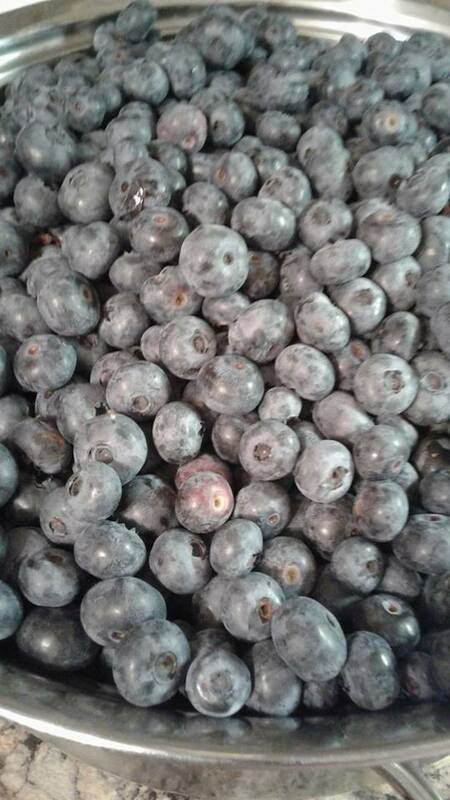 I do actually, buy frozen blueberries. I guess it’s a ‘fish or cut bait’ scenario. I’ve often thought of setting up a small hydroponic unit to grow some lettuce, spinach etc in the winter….BUT – this year I managed to lower my equal payment hydro costs by 35.00 a month by replacing every single lightbulb on the farm with those LED bulbs. To me that’s a good savings and I don’t know if I want to eat that up with grow lights. Sigh. I have been wondering about one of those single Grow towers for fresh greens as well or a larger fish tank set up with a hydroponic system over top.. I do love my sprouts but there are times you crave a nice green salad in winter. However as you say that cost in lights really does add up, I know what the seed/plant starting does to my power bill and it would just add to it. I hear you, nothing worse then spending hard cash on something that ends up going bad so quickly, I had been excited about a case of oranges and I looked them over carefully as they were the week special loss leader.. they were all good but within 3 days at the house, they were getting soft spots and they were done in five. I have never had oranges go bad like that.. really made me look at them and wonder why? True but its strange because normally citrus is really good this time of the year! I did get some really nice lemons and they were great! but I have not found any others that are and it was just the one shipment of the lemon’s and then back to the poorer quality ones. I think sometimes the reason produce and fruit are on sale is because it’s well past freshness. One store I go to has been stripping the lettuces of wilt and just putting them back (same price). Last time I looked at it I decided it wasn’t even something I would feed to my chickens. It’s wretched looking – limp and not worth ten cents. I think this year I might take an overnight to the okanagan and pick up some fruit to can, maybe some berries. I hear you, I have seen that as well, I have seen them do that to the cabbages as well.. take off the leaves, and then wrap them..
Fruit and vegetables are not as expensive here as where you are. After doing some searching, the best I could find was at Tesco. A pack of Braeburn apples (min. 5 fruits) costs £.69 on offer, so 1.19 in Canadian dollars. Buuut that being said we are noticing that food in general is becoming more expensive here. I sometimes get a large shop in ordered online to save me having to carry it all home (neither of us drive or have access to a car). And I have over the last two years in particular felt that the £60 or so I spend on an online food shop, doesn’t buy me as much as it used to. So I’m always checking the reduced food aisle for every part of the grocery store, for a chance to get a bargain and to cut our grocery bill. I really miss English food prices and Tesco yellow sticker reductions. My son and I used to live on their reduced price food. Sometimes for as little as 10p per item. We ate like kings :-). I have heard the same thing from fellow Canadian’s that lived over there for a couple years for work and then came back and I see the things other bloggers find.. I just never seen anything like that here. It’s amazing what you can find in the reduced section. I go by every time we go shopping, just in case there is something. I have also found out when our local stores reduce their food, and go by to see if there is anything good. It’s how we have survived as long as we have on one income. I love reading about your finds, you do a amazing job. 5lb bag of apples is about $8 right now at our closest store. But we shop mostly at the discount grocery which is 1 hour away and there I am able to get them for $4-5 for 5 lbs. But we have been so fed up with poor quality at both stores lately that we are getting a mixed veggie & fruit farm box shipped to us that lands at about $4 per lb for the whole mixed box and the quality has been much better. We are spending more money, but we are getting higher quality produce. We wont need to do that once summer arrives and we have more local options and our garden starts producing. We are also eating a lot of the fruit and veggies we canned/froze/root-cellared in the fall. We tried a grow light scenario for leafy greens in the basement this winter, but it hasn’t been going well. I need to tweak some things and try again. Good to know its not just happening around me and I could not agree more.. it’s not just that the prices are up, its that the quality itself is going down as well.. Combine the two and well.. cranky is the word.. What a great thing that you found that box, yes its a little higher prices over all per pound but if the quality is there, and its delivered.. wonderful indeed. Perhaps not but as Silver posts, there are other counties that are doing a much better job at this then our stores are.. they seem to be more willing to lower prices and move the fruits/veggies before they get bad like ours do.. I looked at the fruit and veggies on our sale tray and I was not willing to bring any of it home to even feed to my critters, let alone to ourselves. Outstanding price on that half bushel, that’s not available around my area, I wish.. apples here are running right around a dollar a pound. We buy a fair bit of fresh fruit as my husband is Type 1 diabetic. This means that things in syrup are a bit challenging. 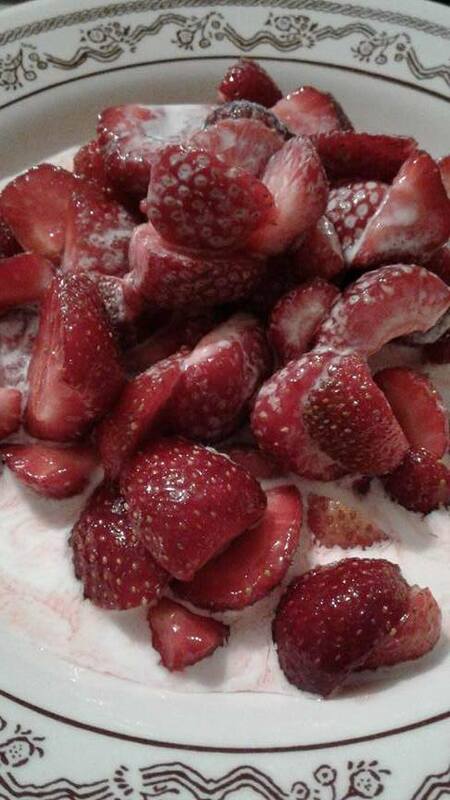 Frozen fruit is ok, but he has always relied on the fresh stuff for snacking. The prices are eye watering. Bananas are too carby to have often. We went to Costco this week (gifted membership, errand for someone else, them paying the gas!) . 6lb bags of spartan apples were $6.49 and 8lb bag of oranges was $12.99 (OMG). He’s super fussy too, so I have to work hard to use up anything that isn’t perfect. We have a big, established blueberry patch and some strawberries that will produce. Red currants, black currants and gooseberries are still small, and not great for him as they need sweetening. We planted apple trees but they will be a while yet. Neighbors gift apples in season, which is nice, and pears, sometimes. I have a neighbor starting figs for me this spring and we have grapes starting. I am finding in the store, that prices for everything are bit scary. We are just coming out of a period of financial hardship and it was getting harder and harder to shop. The only things that are “cheap” are very processed foods in no name packaging and simple carbs, which we cant use a lot of. I am a skilled, informed shopper and I was really struggling to keep the bill down. If you haven’t got those skills it must be even more difficult. I hear you on this, the simple skills that have saved those of us willing to do the work that saved us thousands in years past are not really working anymore. The stores are using mainly non food loss leaders at this time.. they are not selling the higher priced items so they are redoing their fruit and veggie areas and offering even less selection of whole fresh then ever.. They are expanding their processed bagged area’s and their meal prepped areas and much larger frozen area.. I honestly think that the only way to work around it, is to work on our own land and support those locally growing. barter with those that have things if we have something to do so. Its a balance act for sure.. we are still lucky enough that I can use carbs to a point in our diet and I dread the day if that changes. D > Wow, those prices are higher than we pay in our small Co-op supermarkets. Prices seem to have risen sharply over the past year : probably because the value of the £GBP has fallen with all the talk of a No-Deal Brexit. Thank heavens for our own-grown produce from the walled garden! Last year was very good for soft fruit, less so for apples. Most veggies were good, but a cold-dry spring followed by cool-wet summer did for the potatoes – poor quality and low yield. We don’t attempt to keep any food (raw or preserved) more than 12 months, and we don’t need to : I suppose that’s because the coastal climate makes for relatively steady conditions, with little relatively little difference between summer and winter (the difference is mostly the wind!) or one year to another. In other words, the risk of going without our home-grown food is relatively small. D > Do you have a calculator in your household? You don’t seem to need one : your writing about quantities and so is the hallmark of an inveterate mental-calculator! I bought a bag of pink lady apples at Aldis yesterday for $2.89 and navel oranges were also on sale for $1.99 for 4 lbs. That’s great prices Kim, thanks so much for sharing.. No Aldis here. At my closest town, I have a private owned store, that we rarely if ever shop there.. At the next biggest town we have a No Frills and a Metro.. If you want anything beyond that, you need to go further in terms of driving.